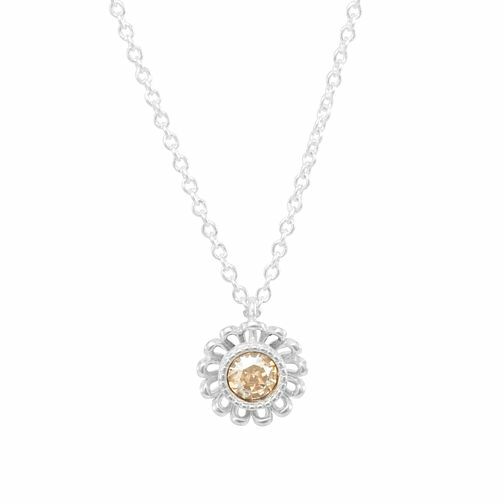 A sweet necklace created from sterling silver, presents a fine chain holding a dainty daisy charm. The pretty petals are complimented by a dazzling swarovski crystal centre, in a luxurious golden shadow shade. An adorable accessory by Chamilia, ideal for adding a splash of colour and character to your everyday style.